I want to share with you what the Lord did in Brazil and how you were a part of His love touching people’s hearts. Because of you, I was able to go to Fortaleza and—together—we were part of Jesus bringing Heaven on earth. We ministered to 7,700 people! Thousands of people were healed spiritually, physically and emotionally. I spoke to a woman whose ears were opened, she was deaf and Jesus healed her. Another woman was paralyzed on the right side of her face and through the power of the Holy Spirit, she was able to smile! God is a good Father who loves His children all around the world. We are incredibly blessed so that we can be a blessing to others. Thank you for blessing me, so that I could go and tell people in another country that God loves them more than anything. That is the most important message and we get to deliver it to everyone. 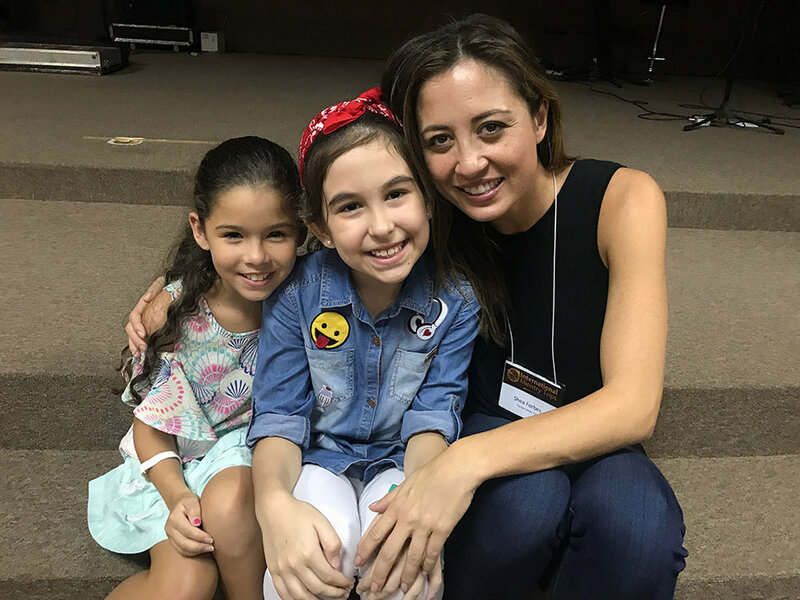 Of all the miracles that happened in Brazil, the most profound thing that I witnessed was the power of God’s love. You don’t have to speak the same language or have the same cultural background, you don’t have to come from the same socio-economic status or have anything in common to give and receive love. Love is the universal language. God is love. He has shown us that He loves the world and everyone in it. Love is more powerful than any physical challenge, it is stronger than an emotional pain, it is worth more than any amount of money, and it is beyond our human comprehension how much of it God has for us. I hope you are encouraged and know that you are loved by God. He is smiling over you, and pouring His love into your heart. He is also pleased with your generosity because it reflects His character. God loves and God gives. Your prayers are powerful and I am so grateful for your support. Please use the form below to send Shea a prayer, ask her a question or two, or inquire about participating in her mission.